Cheap Check Store Blog: Five Budget Friendly, Money Saving Phone Apps that Work! 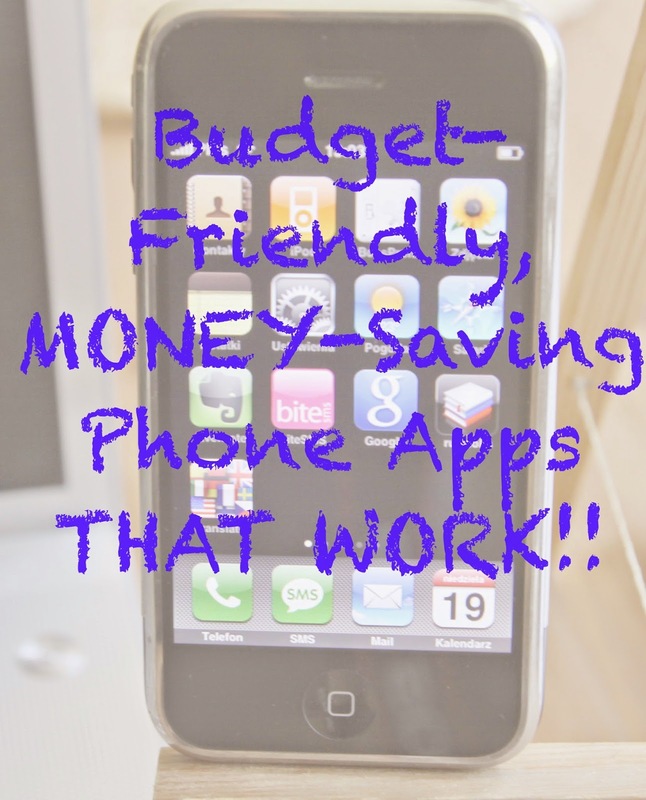 Five Budget Friendly, Money Saving Phone Apps that Work! Most Americans these days use our phones for just about everything. From checking sports scores to cruising the internet superhighway, mobile devices have reached an unprecedented popularity. You may think that all the hard work that goes into picking and choosing apps for your smartphone is a waste of time and energy, but the truth is that not all phone apps are a waste! There are hundreds of great phone apps out there, and more than a few of them are focused exclusively on finding ways to save you money and simplify your life. Now while that sounds good, there is one big problem. There are so many of them out there, that it can be tough to narrow down which ones are the best to use. Additionally, since some apps cost real money to download and use, you have to know pretty well in advance that a particular app is worth having. With that in mind, take a look at some of these money-saving phone apps that really do work to save you money day in and day out! Some of the most highly-rated apps on the market are also, unfortunately, paid apps, and while they do work great, a $60 or higher price tag is certainly a deal-breaker for many families, particularly those who are trying to get out of debt. That’s why you won’t find any apps on this list that cost more than $10. In my mind, that’s a reasonable price, and worthwhile for what you’re getting in return. If you’re ready to sink more into your financial life than that, by all means, go ahead, just be careful what you buy into. Just because you spend more, doesn’t mean you’ll necessarily get more in return. Level Money is an easy-to-use budget app that does exactly the basics of what you want a budget app to do. Rather than getting all fancy with the equations and overcomplicating the whole mess, this app connects with your bank and credit card accounts and allows you to set a predetermined spending limit for yourself. The drawbacks to this app are that it isn’t able to categorize your expenses into gas/groceries/bills, etcetera, and it also doesn’t do too well with cash transactions. Still, for a free phone app, it does the job it’s meant to do. Expensify is a great phone app for business travelers, but works great for small business owners, as well. It can record vehicle mileage, and best of all, allows you to snap a picture of your receipts to keep a photo record of expenses. The images are then stored for use later! Mint is one of those ubiquitous names in the financial planning apps market. It has both smartphone and desk- or laptop functionality, and covers practically all the bases you’ll need it to cover. In fact, the experience borders on perfect, and is hindered not by the software, but rather by the security requirements of many of today’s banking and financial institutions. Many smaller password-protected sites may not recognize when Mint is attempting to update your account, and can lock down your accounts. That said, the interface is fun to use, and provides an easy-to scan layout that is also very easy to use. Easier to use than more complicated apps, Spendee breaks down your expenses into a few easy-to scan categories such as entertainment, car, family, and personal. For budget novices or those who need only a cursory look at where their money goes, Spendee is a great app to have. Check is a bit different from other financial apps in that it doesn’t just break down your finances- it allows you to pay bills from your phone and provides alerts to upcoming due dates. This one is great for users who occasionally miss payments or find yourself scrambling to find an internet connection to make that cable bill you keep forgetting!